Abstract Submission Deadline has been extended. Tentative Program has been updated. 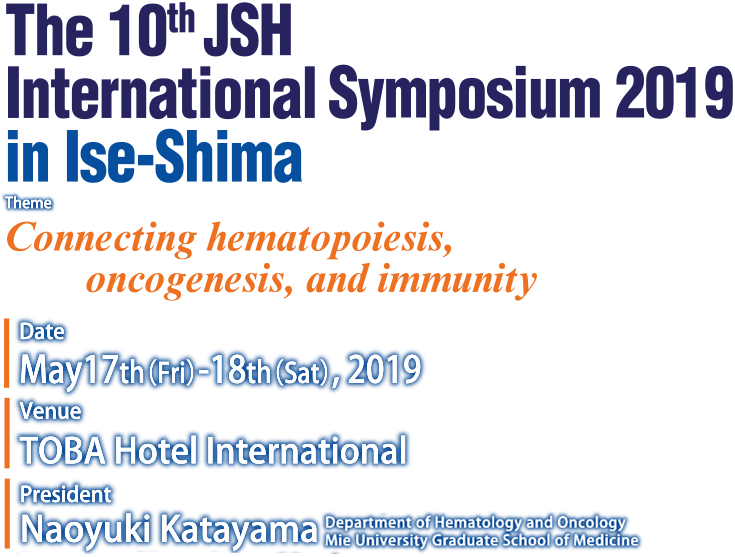 The 10th JSH INTERNATIONAL SYMPOSIUM 2019 in Ise-Shima's website has been opened! Abstract Submission Date : 8th March, 2019 ⇒ 11 March, 2019.